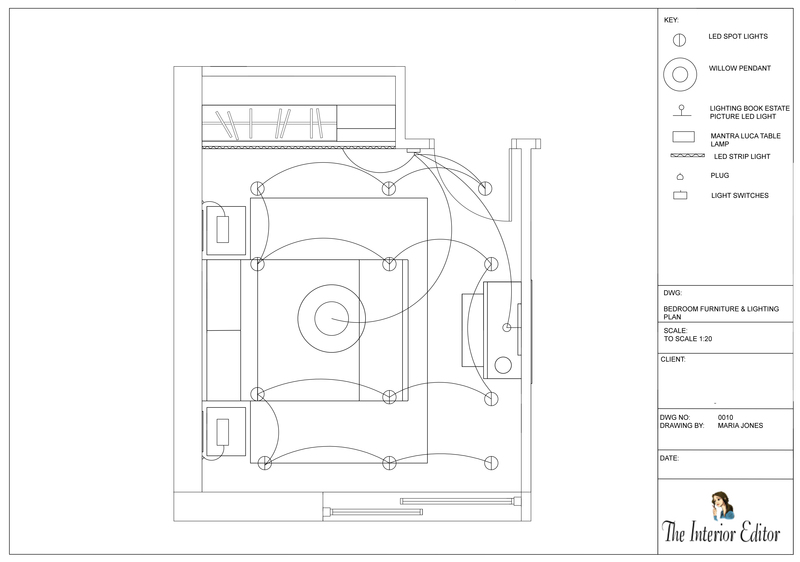 Yay Friday has arrived, and today you get to read the final part of the Lighting Guide. We have already covered the basic principles of lighting to your homes here and here. Today, it’s all about how to go about implementing the perfect lighting scheme, as well as some helpful tips. So without further ado, let’s go! The key to a successful lighting scheme is to plan ahead, and not when you’ve finished decorating. If you are going for a complete redesign of a space, then you will need to plan out your space and work backwards. Once you have planned your space and know where your furniture and fitments are going, you can work out where you need light, and what type of lighting is required. A good way to go about planning your lighting is to ask yourselves these questions to determine the best way to light your space. What walls or features do you wish to wash with light? Think about what you want to see in your room. Do you have a focal point that you can accentuate with lighting? Do you need to draw your eye away from an ugly architectural feature to another part of the room? These are all good places to start assessing your lighting. Where do you need light the most within your space? How much time is spent in the room? If it’s a space you spend a lot of time in, and/or it is a multipurpose functional room, think of adding different layers of lighting which are flexible. Such as table and floor lamps, pendants, and downlights. How much light is required? (Some spaces require more and better quality of light than others such as kitchens, and home offices). Are they any specific tasks that will be carried out? Task lighting is essential to ensure daily activities are performed safely especially in the kitchen. Do you have any dark corners or architectural features that would benefit from light? 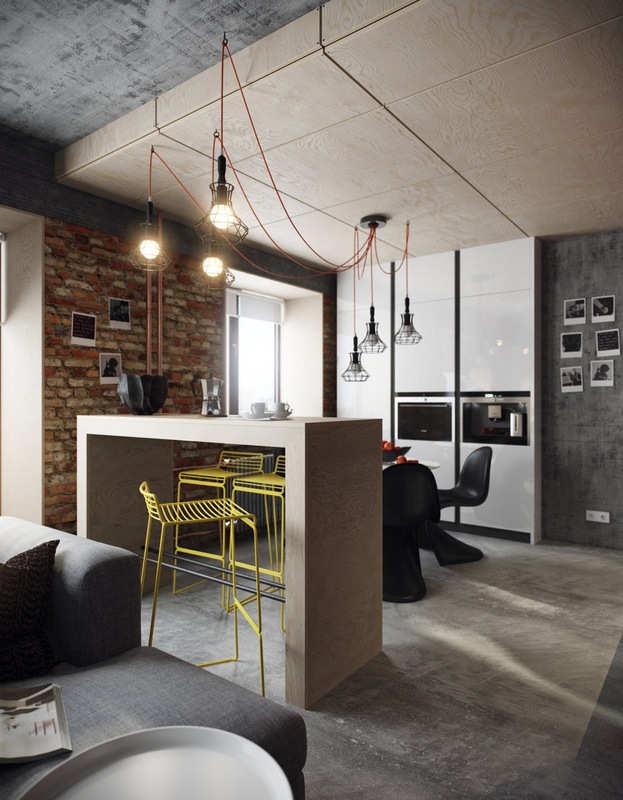 Accent lighting will bring these areas to life! It is important to note that lighting will affect how you see colour in your homes too. From the changeable natural daylight that enters your rooms, to what type of bulb you choose for your lamps. Colours will inevitably look different under different types of light. When light falls on surface areas it can change how we see colour, as well as how effective your chosen lighting performs. For example, black will absorb all light, and white objects reflect all light. There are a lot of factors to consider with colour and lighting, and I’ll talk about this more in a future post. 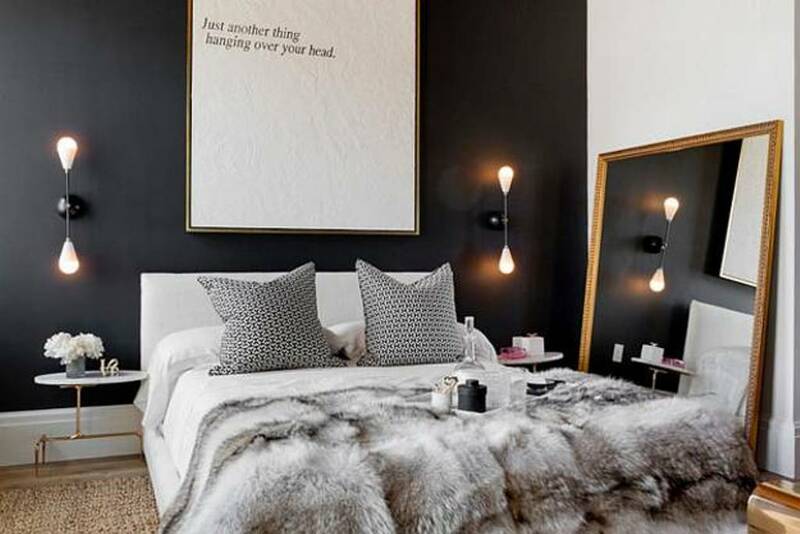 The above bedroom black walls demonstrate how black absorbs the light, rather than reflecting it. However, the placement of the mirror ensures that some light is reflected back into the room. 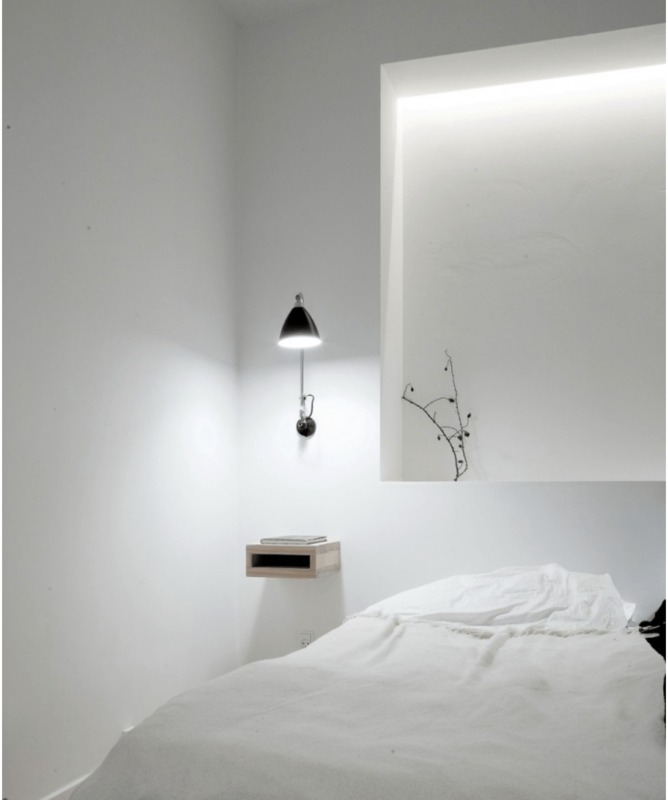 Here, an example of how white reflects all light in comparison to the black bedroom above. DON’T place all your lighting at one level. If you layer and place your lighting at different heights, you will encourage your eye to venture around your space. This will create more interest as well as atmosphere. Think ceilings, walls, floor and table lamps. DO ensure your lighting runs on different circuits and dimmer switches, (if you can). By doing this you will be able to vary the look and feel of your room as you move around. Lighting should be as flexible as the activities you perform within any specific space. Some lighting doesn’t need to be seen such as architectural lighting. This should be subtle as it will have more impact on how you view your space. Remember different rooms require different lighting. When planning your lighting you need to take into consideration it’s functionality. The lighting you choose should serve a purpose within your spaces otherwise, you are simply wasting electricity and money. 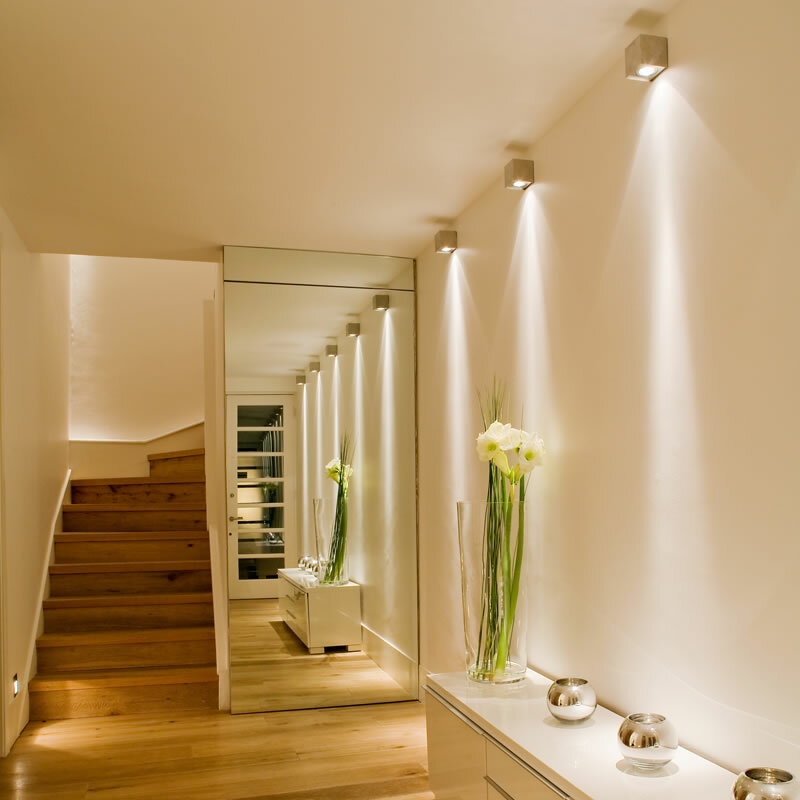 Wall lights can create visual impact and change the look to your hallways as they add length and size as well as for navigation purposes. The above entrance/hallway uses wall lights and low-level lighting, which add visual impact.The combination of reflective surfaces such as the mirrored door works well at making this space appear larger than it actually is. The use of white colour palette ensures that light is reflected rather than absorbed. 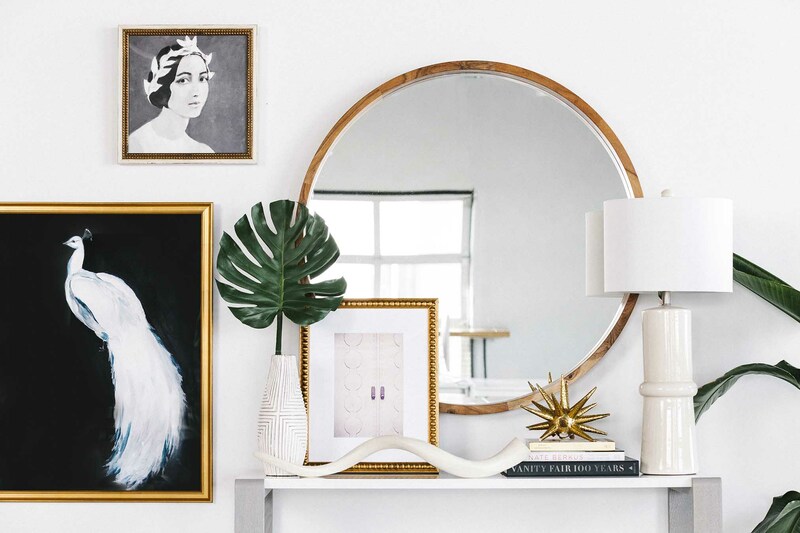 Placing lamps in front of a mirror will ensure light is reflected back into your spaces. The Georgians used this to full effect, even before the light bulb was invented with mirrors that had candle sconces attached to them. It is a clever way to ensure more light is reflected back into a room, and make your rooms look larger. If space is tight, combine function and purpose with a side table and lamp combined. There really is no excuse not to add some additional lighting to your spaces. 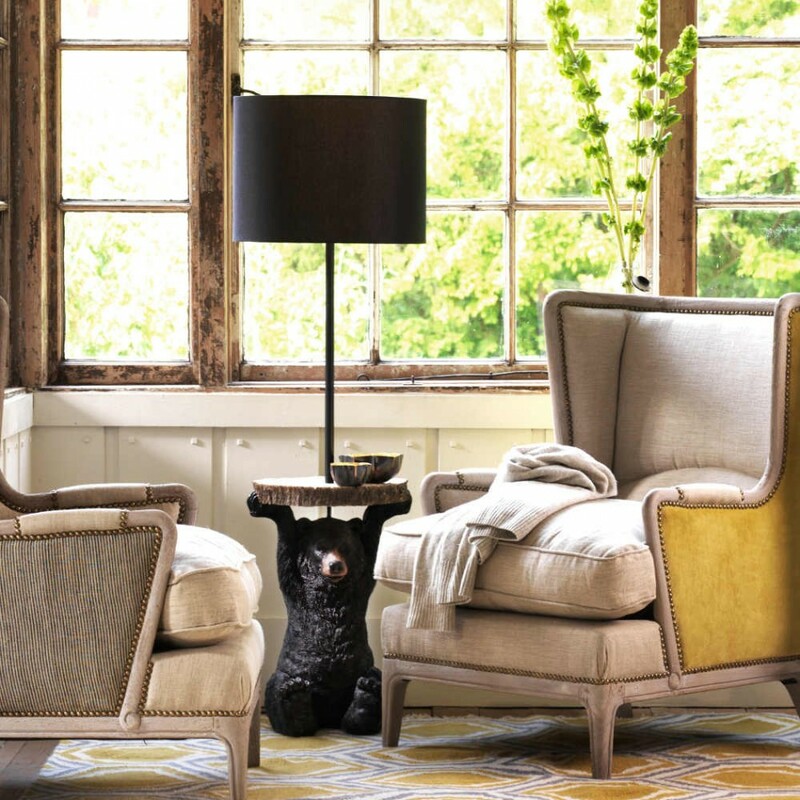 They don’t have to be boring either, such as this fun Benny Floor Lamp by Graham and Green that offers a sense of fun, style, and who could resist that cute friendly face. 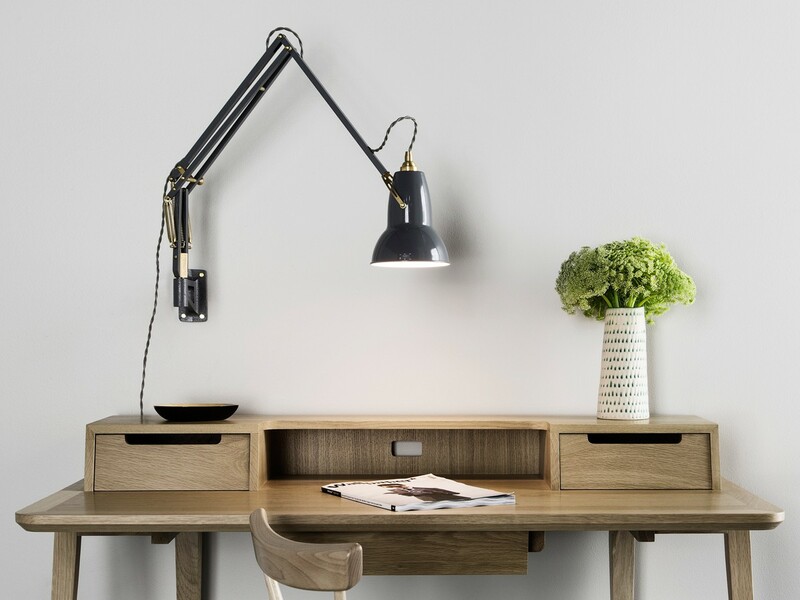 If you want to light up your walls without the expense of an electrician or the inconvenience, there are a vast array of plug-in wall lights available to choose from such as this fab one from Anglepoise below. This Anglepoise Original 1227 Brass Wall Mounted Lamp plugs conveniently into the wall. It offers the perfect solution to those of you that don’t have the resources, time or maybe you rent. If you don’t have dimmer switches, you can easily convert table and floor lamps with the likes of one of these dimmer switches. So that you can vary the light received to create softer mood lighting to your spaces without the huge expense of breaking into your walls. There is so much more I could write about Lighting, I love it so much. I am stopping here as there is more to our interiors than just lighting. I am hoping you will have found this guide useful when it comes to thinking/selecting lighting for your homes. For those of you that have caught the lighting bug, I will be compiling a free Lighting Guide downloadable e-book with lots more additional lighting advice so watch this space! That’s all from me this week. Have a great weekend wherever you are!! And as always, thanks for stopping by and reading today’s post. P.S: Please feel free to leave any comments, it would be lovely to hear from you. Don’t forget you can sign up so you never miss a post at the top of this page or join me on Bloglovin.